When fall arrives, my Sundays are taken hostage by a little game called football. This is not only because Mike is obsessed with watching as many games as humanly possible, but also because I love football. By 1 pm on Sunday, all errands must be completed. Any open houses scheduled during this time will not be attended. Oh - and pretzel bread should be rising in kitchen. As with most things in life, one of the things I like most about football games is actually the food. And when I served pretzel bread with Mike's spicy chicken chili one Sunday last year, a heavenly combination was unknowingly created. 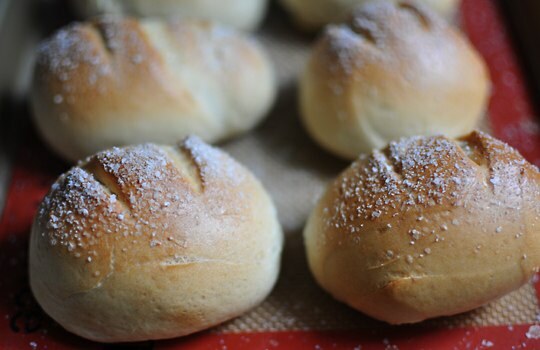 This dough is very easy to whip together and the reward is well-worth the minimal effort. 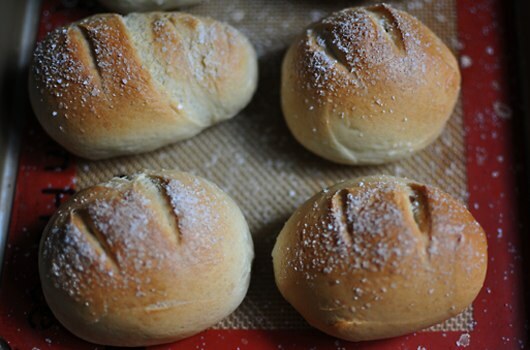 Just keep in mind that from warming your liquids to pulling the golden mini-loaves from the oven, the recipe takes about 2 1/2 hours to complete, although most of this is inactive time (for you, not the dough). I do not provide these times to scare you, only to give you a heads-up so you can have fresh-from the oven pretzel bread at your desired point during the game. Personally, I prefer halftime so I can fully enjoy cheering for Wes Welker without being distracted by warm pretzel bread and spicy mustard. Both events deserve undivided attention, you understand. Combine water and milk in microwave-safe measuring cup. Warm to 110 degrees. 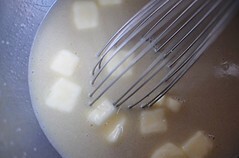 In the bowl of a stand mixer (or large mixing bowl if kneading by hand) combine water, milk, yeast, brown sugar, and butter. Whisk gently. 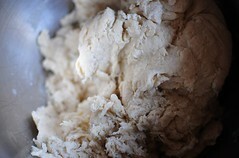 Allow yeast to bloom until no granules remain, about 10 minutes. Attach bowl to stand mixer fitted with dough hook attachment. With mixer on medium-low speed, sprinkle salt over mixture. Add bread flour, kneading until all ingredients are combined and dough is just slightly tacky; or knead by hand if not using a mixer. [Note: once the dough is finished on the stand mixer, I like to hand-knead it for about 1 minute longer on a lightly-floured work surface]. Spray a clean, large mixing bowl with non-stick spray and place the dough in the bowl. Cover with plastic wrap and a kitchen towel; place in a warm area and allow to rise for 30 minutes. 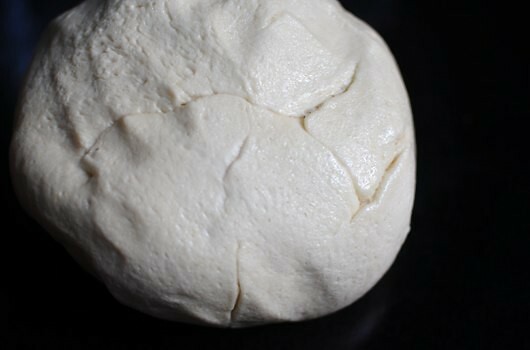 After 30 minutes, return dough to stand mixer fitted with a dough hook attachment and knead until dough is elastic and satin-y, about 5 to 10 minutes (or knead by hand). 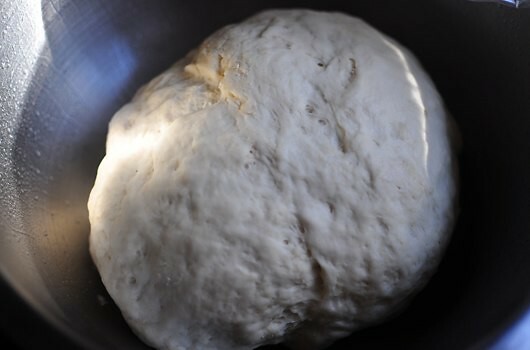 Place dough back in oiled bowl and recover with plastic wrap and kitchen towel. Allow to rise in a warm area until doubled in size, about 1 hour. Preheat oven to 400 degrees. Bring a large pot of water and 1 tablespoon kosher salt to a boil. Prepare a baking sheet with parchment paper or a Silpat. Remove the dough from the bowl and gently degas. 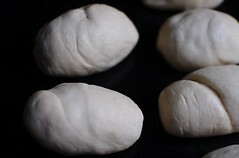 Form dough into desired shape - I usually cut and shape the dough into 16 mini-loaves. 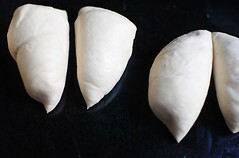 Drop the shaped dough into the boiling water, a few at a time. 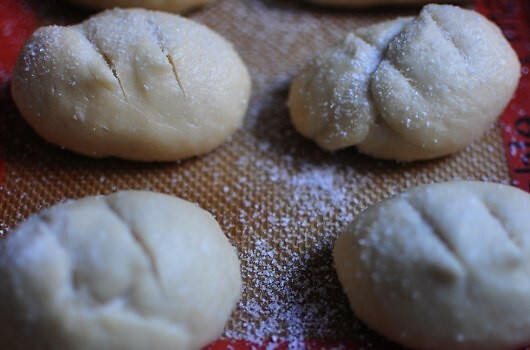 When dough rises to the top, remove from water with a slotted spoon and place about 2-inches apart on prepared baking sheet. Repeat with remaining dough. Use a sharp knife to slash the tops of the bread. Sprinkle generously with kosher or pretzel salt. Bake until well-risen and very golden brown, 22 to 24 minutes. Allow to cool slightly, then serve immediately with mustard. Note: this bread is best consumed the day of baking. If, by some chance, you actually have left-overs, store in an airtight container and reheat at 350 degrees for about 10 minutes the following day. This looks amazing! When I can have dairy again , these are on my to do list. This post hit me RIGHT at home, I love football but my boyfriend LOVES football. There wasn't ever a weekend where I couldn't script exactly how it would go, me baking whatever desserts my heart desired while I walked in and out of the living room to catch glimpses of the games. My boyfriend planted his rear end on the recliner the entire weekend and gladly taste tested everything I put in front of him. Oh my! I am SO making this next on my baking agenda! Do you know if these are freezable? I want to make a bulk batch and have the ablity to pull them out of the freezer as needed.